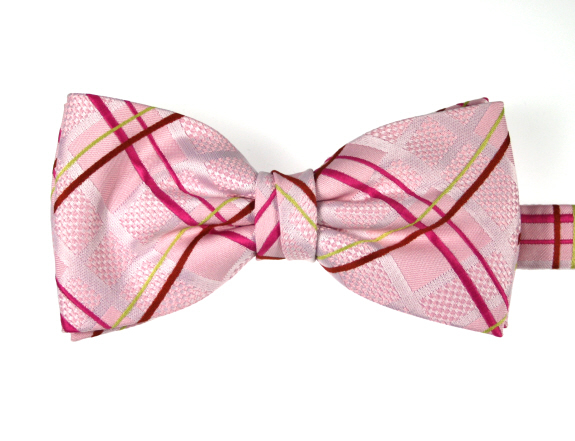 Pink striped bow tie with bright pink, green and brown stripes. Pre-tied. Soft microfibre. An attractive silk pink bow tie with diagonal cream and dark grey fine stripes in a matt finish. Pre-tied and fully adjustable.